Yagi high-gain 9 dB directional 650-830 MHz Antenna. Designed for fixed installations for 4G LTE, SMH bands, point to multipoint and public safety. Yagi high-gain 6 dB directional 650-830 MHz Antenna. Designed for fixed installations for 4G LTE, SMH bands, point to multipoint and public safety. 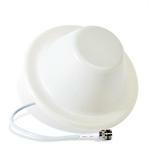 Cell phone antenna which works great on Trucks, Homes, RVs, Boats and Buildings. Customizable External antenna kit with cable and optional amplfiier. Includes mounting hardware brackets Verizon FT2260 and F256VW HomePhoneConnect Devices. Customizable External antenna kit with cable and optional amplfiier. Includes mounting hardware brackets. Compatible with AT&T Wireless Home Phone WF-720 Devices.